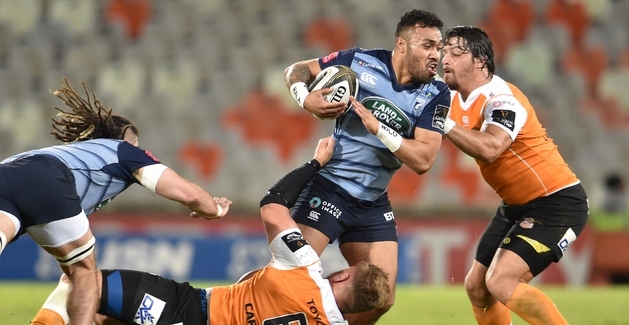 For the second week in a row Cardiff Blues welcome rivals from the Guinness Pro14's Conference A to the Arms Park on a Friday night as Cheetahs make the trip to the Welsh capital. It follows last week's bonus point win over Munster that got the season up and running after three successive late defeats to begin the John Mulvihill reign, and went a long way to allaying pressure on the coaches and players that was slowly building. Despite those three losses kicking off the season, the competitive nature of Conference A means we are still only six points off league leaders Glasgow and could jump as high as second after this weekend if results manage to go our way. First we will have to get past the Cheetahs though, repeating last season's 25-20 win over the Bloemfontein-based side at the Arms Park where tries from Nick Williams, Ellis Jenkins and Rey Lee-Lo clinched victory, as well as the boot of Jarrod Evans. It's been all change for the South African side over the summer though, with 19 players departing and 26 players coming in, while Franco Smith took full control of the team from Rory Duncan. On the back of that the Cheetahs got off to a tough start this season, with back-to-back defeats on the road at the hands of Munster and Ospreys. A cumulative scoreline of 84-14 in those games was followed by a 24-52 loss at home to Glasgow, although they avoided four straight defeats by drawing 39-39 with Ulster last week in Bloemfontein. Attempting to continue an upward curve towards a win, the visitors on Friday have made just a single injury enfrced change as Ryno Eksteen starts at full-back in place of Malcolm Jaer. Talented young winger Rabz Maxwane is the man to watch in open play, while international props Ox Nche, of South Africa, and Aranos Coetzee, of Namibia, will provide some grunt up front. New signing Tian Schoeman will run the show at 10 after returning to his home country from the Top14's Bordeaux. John Mulvihill, meanwhile, makes three changes from the side that actually lined up against Munster with Jarrod Evans and Blaine Scully not included after withdrawing late on from that game. Dmitri Arhip, Josh Navidi and Nick Williams are rested from the 23 altogether, with Scott Andrews, Olly Robinson and Rory Thornton starting in their places. Josh Turnbull drops to number eight, and Dillon Lewis and Sion Bennett take a seat on the bench. Back-rower Bennett making his first appearance in a Pro14 matchday squad since November last year. There are two other changes amongst the replacements as Brad Thyer replaces Rhys Carre and Steve Shingler replaces Tom Williams. Despite having a successful first season in the Pro14 last year, finishing third above Cardiff Blues in Conference A and making the league play-offs at the first attempt, Cheetahs record outside South Africa is pretty poor. Their only wins in the Northern Hemisphere came against Benetton and Dragons, leaving them struggling against most teams in the league. They'll be hoping to correct that on Friday as they search for a first win of the season. We know the Cheetahs will be a tough team to face despite their away record though, with their playing ethos to run from anywhere in an effort to utilise their dangerous backs, while like any good South African side they place an importance on having a strong forward pack as a base. It would appear that, while taking the opportunity to rest the likes of Nick, Navidi and Arhip, John Mulvihill has moved to name a more agile forward pack to counter the threat posed by the visitors. The backline staying the same is a positive though, as they can build on what was an almost flawless performance last week in the dismantling of Munster. Willis Halaholo may well be a marked man on Friday, but that should give the rest of the outside backs the chance to work in a bit of space and there's no doubt Gareth Anscombe is a good enough player to get them involved. It'll need a big effort defensively and up front, but if we can dominate possession then we give ourselves a great chance to secure back-to-back wins. Come on Cardiff! George Clancy (IRE) - Usually a groan follows this announcement, but the Irishman wasn't too bad when he officiated our defeat to Zebre two weeks ago. That loss means we have lost our last three games with Clancy in the middle though, with the two before coming to Scarlets and Edinburgh at the Arms Park. what has happened to our new No 8?